We all love our succulents for their beautiful form and vibrant color, but let’s face it, sometimes succulents lose their luster. Learning how to fertilize succulents at the appropriate time can really pay off and I’ll tell you why. When you purchased your succulents, you probably picked them out very carefully and made sure you loved their compact form and lush leaves. You most likely made sure you didn’t see any sunburned or stretch-out leaves. 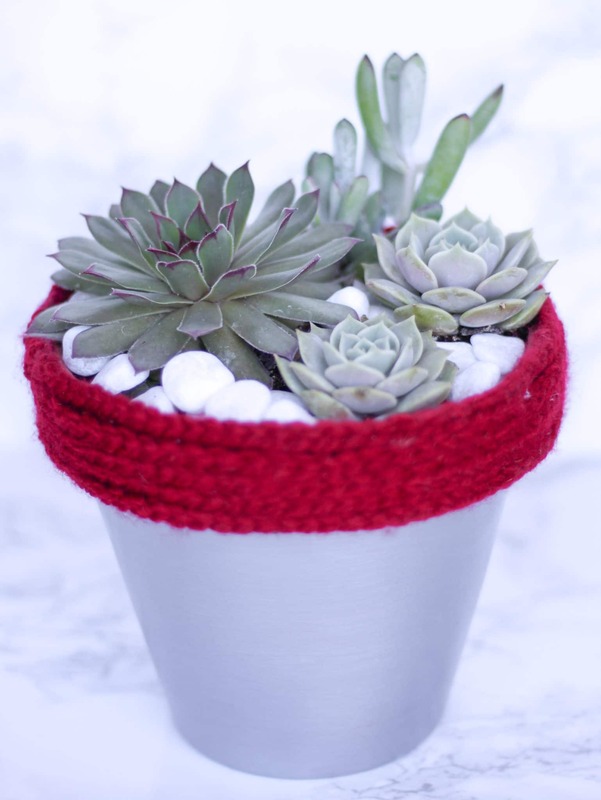 While succulents don’t require extra fertilizer to grow, they do benefit from it, particularly during their active growing season, which is generally Spring and Summer. 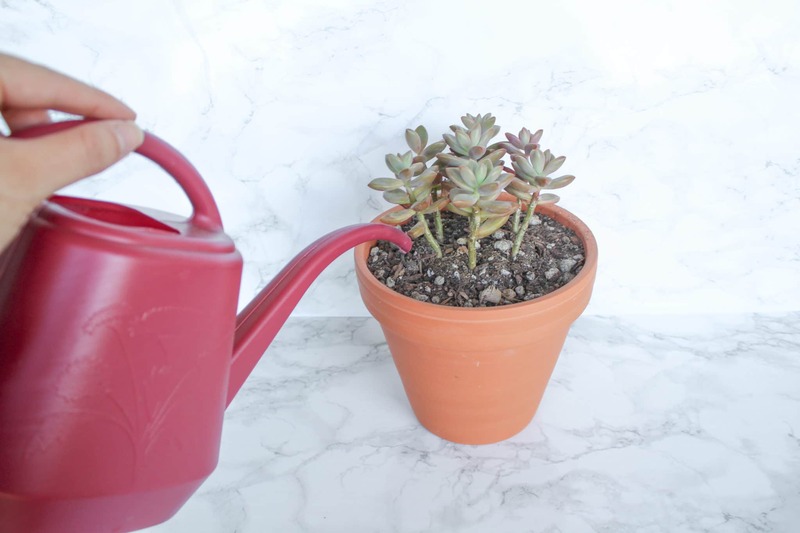 Why should you add fertilizer to succulents? Adding fertilizer will help your succulents grow faster, retain their color and keep a good form. Fertilizer can even help promote bloom growth on certain succulents. Fertilizing too often, however, can promote weak and artificial growth, which you definitely want to avoid. You want strong succulents! What Kind of Fertilizer Should You Use For Succulents? 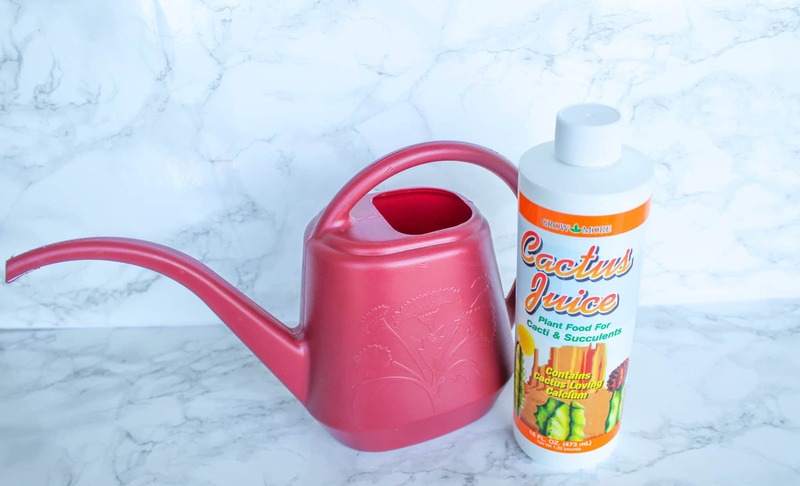 A quality liquid fertilizer is the usually the best, easiest, and most affordable fertilizer to use for succulents. 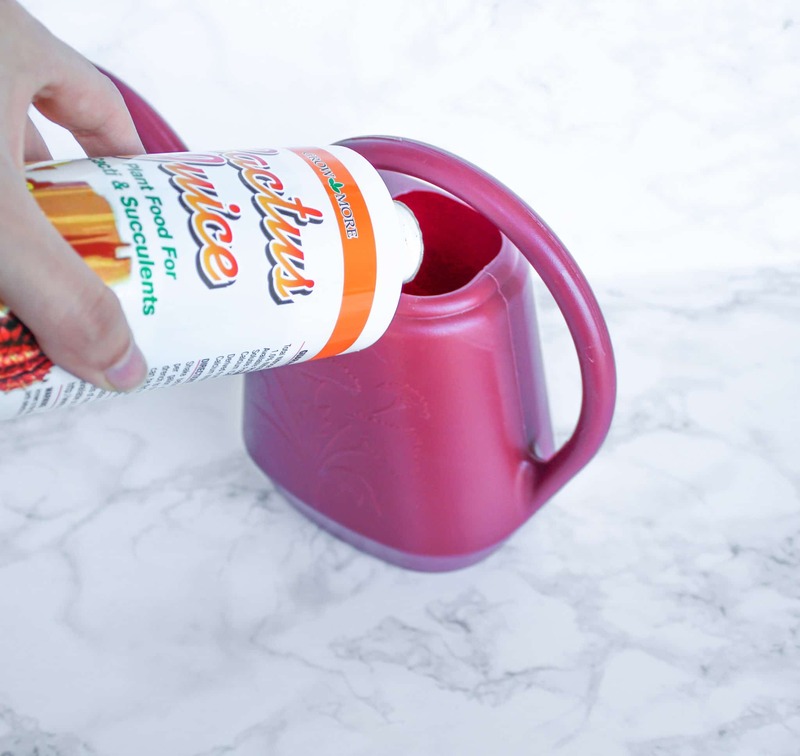 the next time you water your succulents. A good fertilizer will contain nitrogen, phosphorus, and potassium. As with other plants and flowers, you want to choose a fertilizer that is low in nitrogen; your fertilizer should contain more phosphorous and potassium than nitrogen. The best time to fertilize succulents is at the beginning of their growing season. While this time may vary between plants, you’ll generally want to apply fertilizer once in the Spring, and once in the Fall, before their dormancy begins. However, you can also fertilize more often if you want your succulents to grow faster. Many succulent growers prefer feeding their succulents once a month, especially if they’re growing they’re them outside. Outdoor succulents naturally get more sun exposure and better airflow, so they can handle extra doses of fertilizer without stretching out and losing their compact form. Fertilizers in their full suggested amount may be too much for your succulents, so I recommend cutting the recommended amount by half. Too much fertilizer can actually burn your succulents, so cutting the amount is crucial. There are a few things you should avoid when adding fertilizer to your succulents. The bullet list below highlights things that can actually kill or paralyze your plant, so make sure to avoid them! Don’t feed succulents if you’ve just repotted them; wait at least a month. You want to give the roots time to adjust. Don’t feed succulents that are in dry soil. Always water beforehand, even if you’re using liquid fertilizer. Make sure your succulents will be getting access to 4 to 6 hours of indirect sunlight each day. 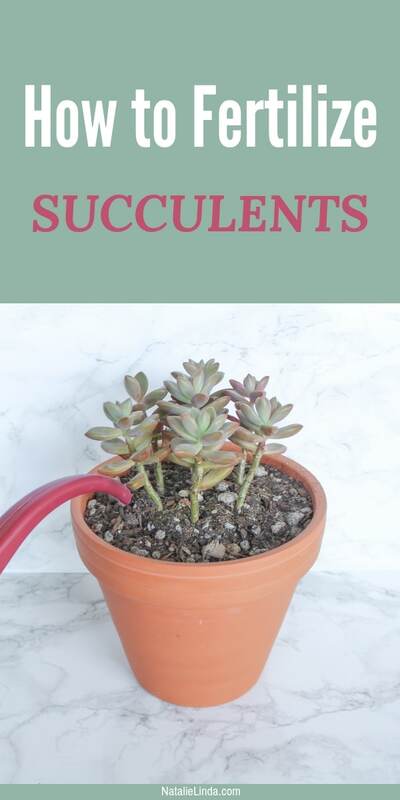 If they don’t have access to enough sunlight, succulents that are fertilized will grow quickly and start to stretch out and up towards the light. This will cause them to lose the compact look their famous for. with water at least half way. 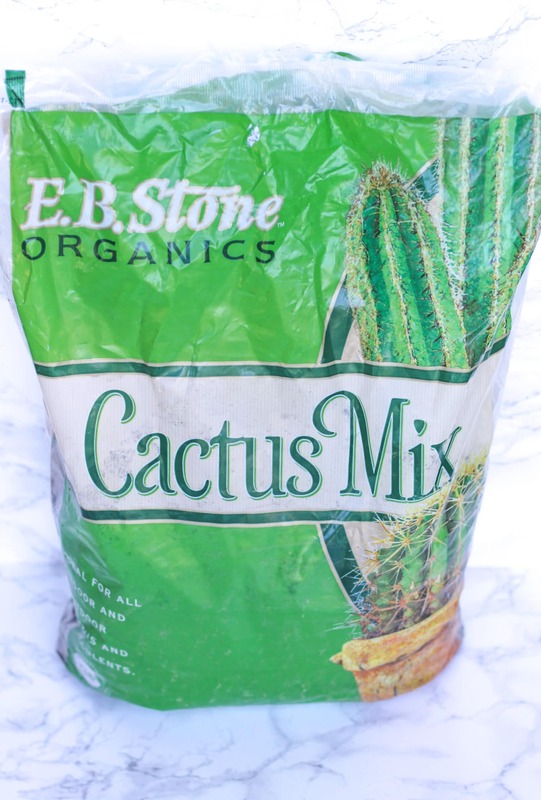 Choose a fertilizer that is specifically made for cacti and succulents. Make sure fertilizer contains nitrogen, phosphorus, and potassium. That’s it! Make sure you wait at least a month before the next feeding! Fertilizing succulents is another step in your journey to grow the best succulents of your life! If you need a refresher on how to care for succulents – which let’s face it, we all do every now and then! – this post will help you out a ton. Remember that while succulents are indeed low-maintenance plants, a little TLC from you will reap you prettier and stronger plants. If you’re growing your succulents outdoors, you can grow them amongst other low-maintenance perennials that don’t need a lot of water! And if you’re looking for a fun succulent craft you can do for the Holiday season, check out my post on these pretty DIY Christmas Ornaments with Live Succulents!